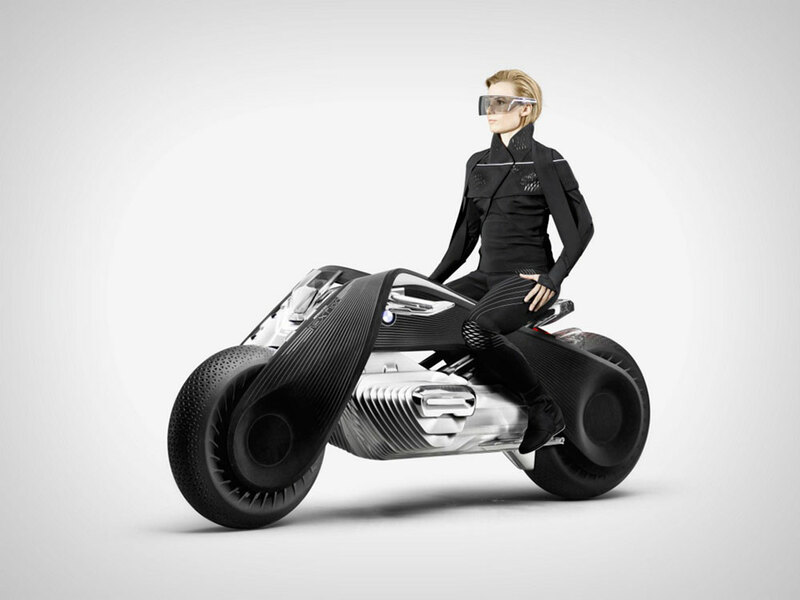 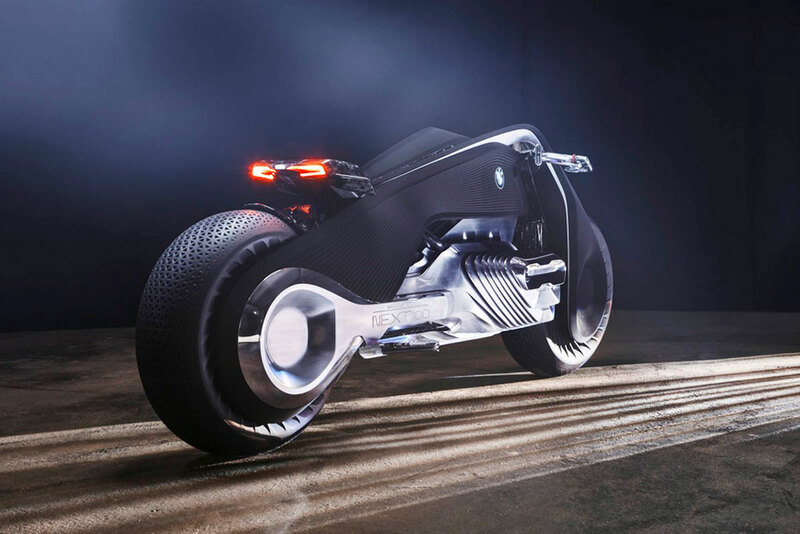 The Motorrad Vision 100 makes the bike truly autonomous and insanely smart. 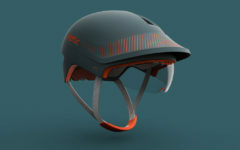 Which leads to the death of the helmet. 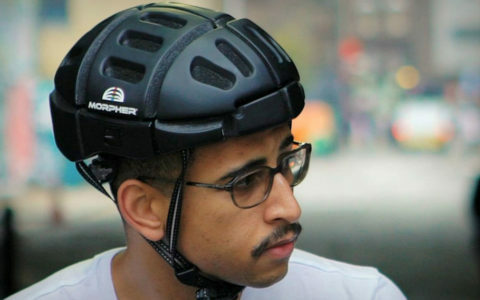 If your bike won’t crash, you won’t need protective headgear, right? 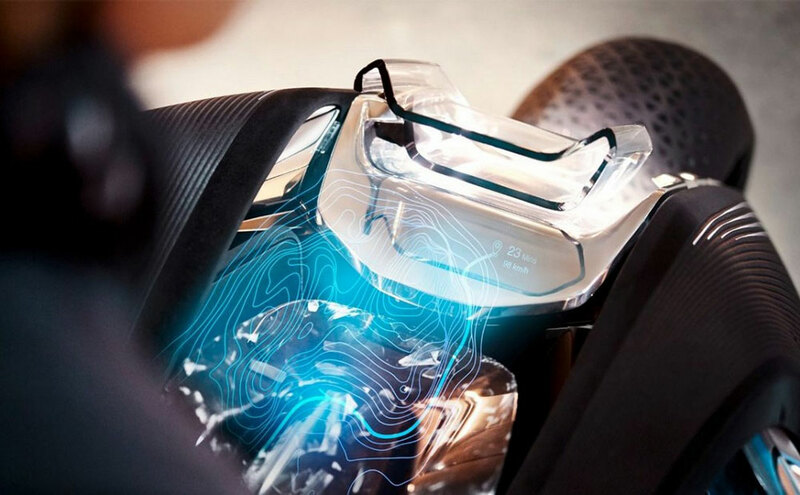 The helmet gets replaced by AR glasses that act as the interface display for when you drive. 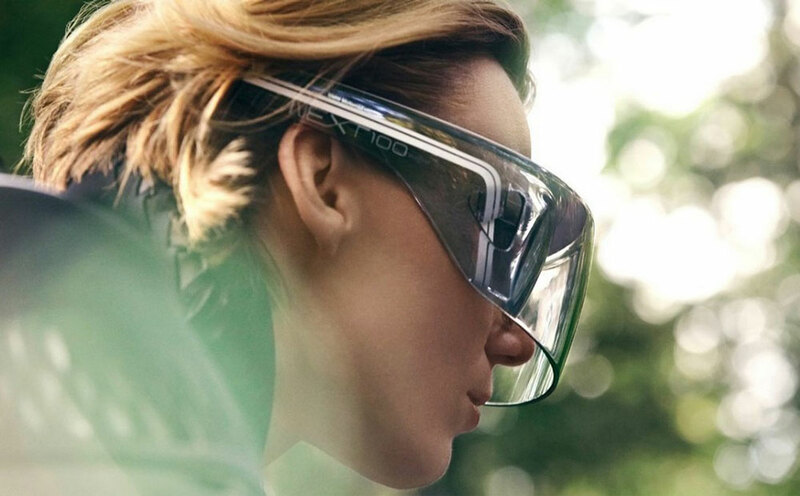 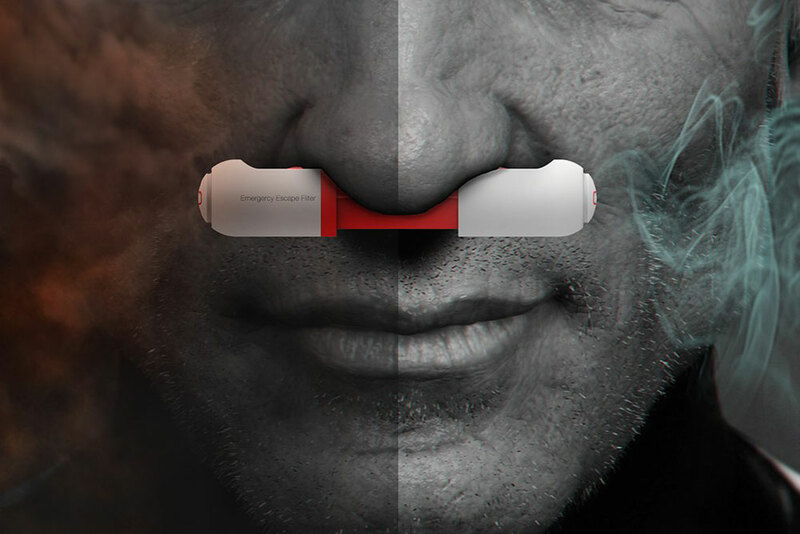 They also keep the dust out of your eyes. 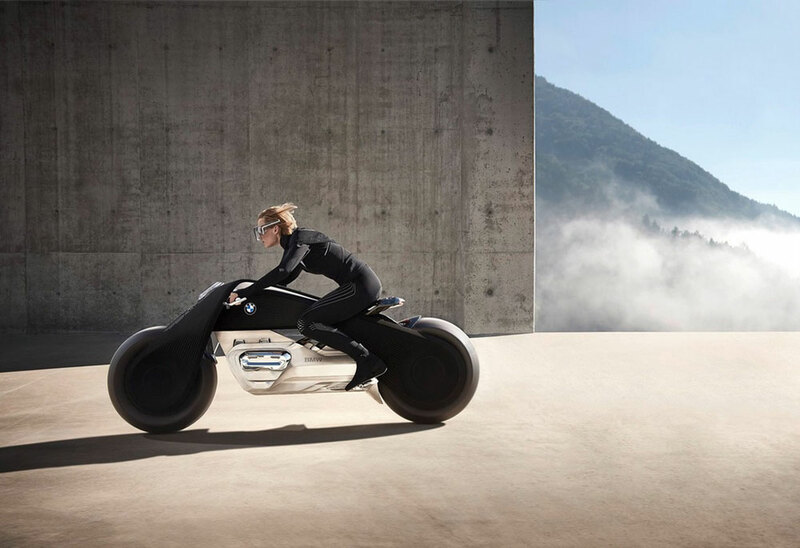 The new method of driving the bike comes naturally to the user as most of the work is done by the automobile itself. 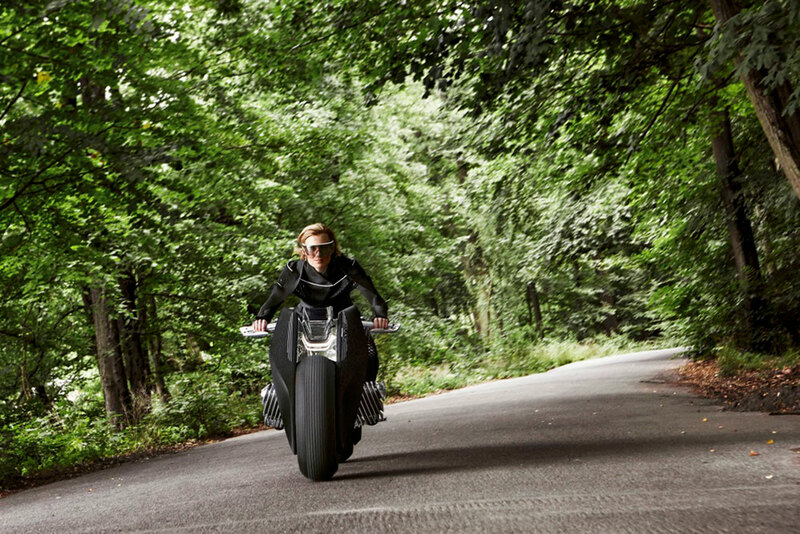 The aesthetics obviously take on an absolutely new avatar, while still retaining the bike-esque elements. 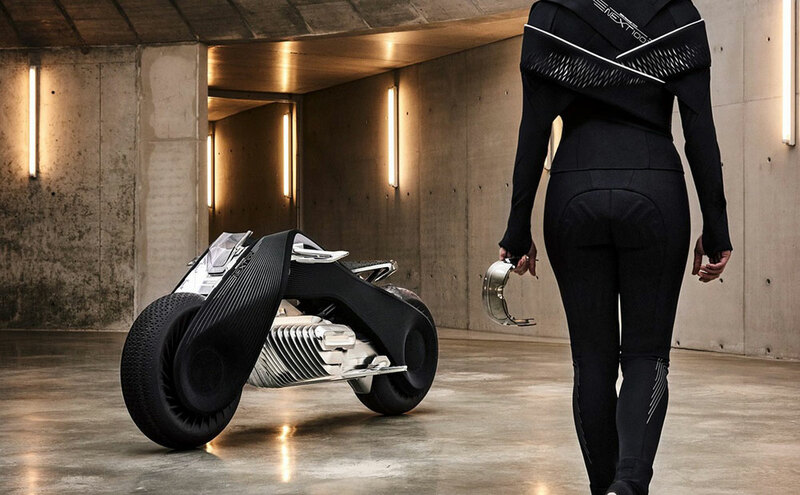 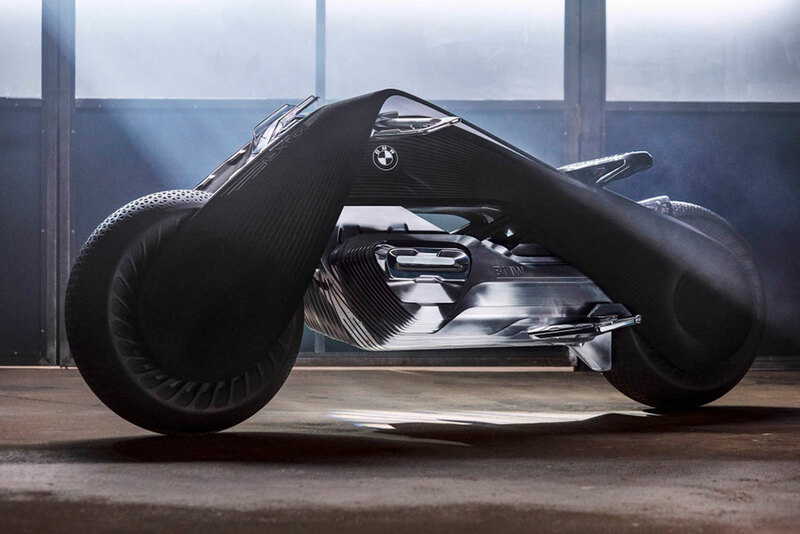 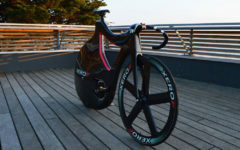 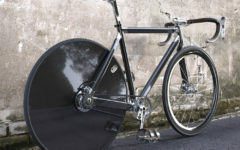 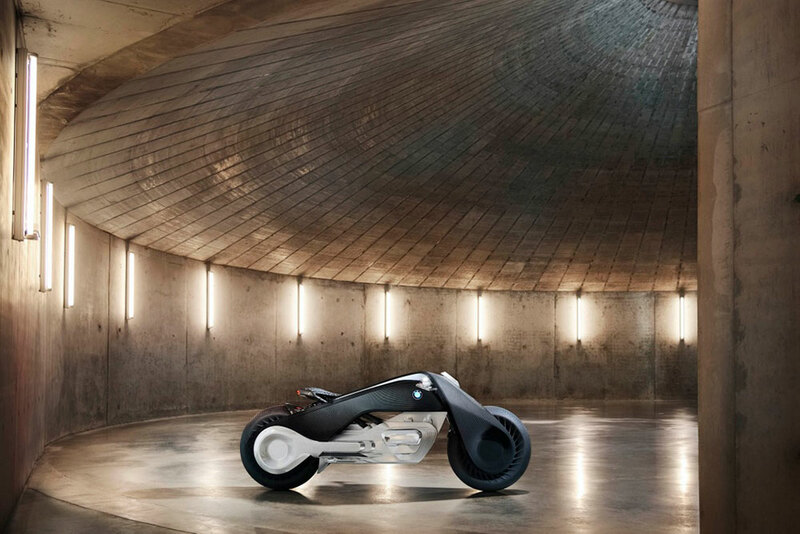 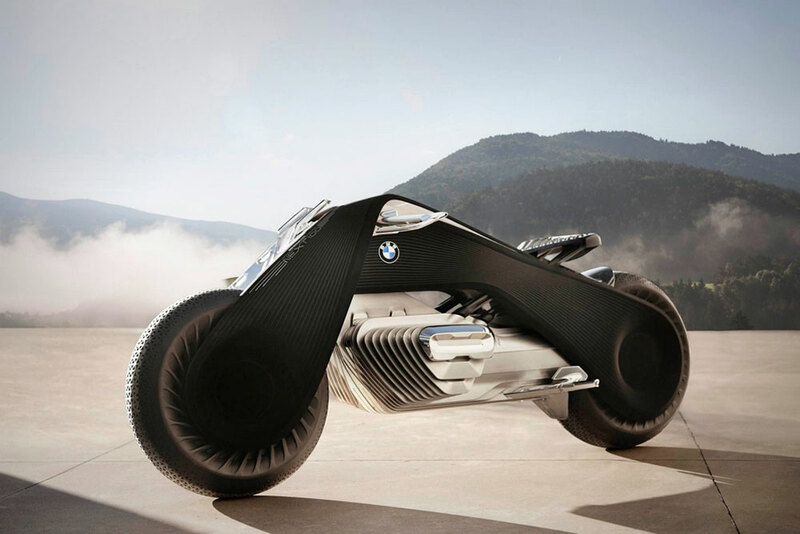 Tires grow wider so that the bike may stand/balance on its own, and the tire pattern, a triangular matrix (if you notice keenly) goes to become somewhat a symbol for BMW’s Vision 100 design challenge, with its presence being felt even in BMW’s Vision 100 car design.